Norway has electronic proof that Russian forces disrupted GPS signals during recent NATO war games, according to a report in Reuters news service. The Scandinavian country andNorth Atlantic Treaty Organization (NATO) member has demanded an explanation from its neighbor. “We recognize Russia’s right to exercise and train its capacities [but] it is not acceptable that this kind of activity affects security in Norwegian air space,” stated the Norwegian defense ministry. NovAtel’s Waypoint Products Group has released version 8.80 of its GNSS and GNSS+INS post-processing software products, including Inertial Explorer, Inertial Explorer Xpress, GrafNav and GrafNet. All Waypoint customers with an active subscription that are within the support period qualify for the Waypoint 8.80 upgrade at no additional charge. For applications requiring highly accurate post-mission position, velocity or attitude, post-processing maximizes the accuracy of the solution by processing previously stored GNSS and inertial measurement unit (IMU) data forward and reverse in time, and combining the results. The position, velocity and attitude solution can be smoothed and output at the required data rate and in the coordinate frame required. This process also provides the ability to assess the solution reliability and accuracy. The GrafNav and Inertial Explorer software packages are available as a digitally secured machine-portable license. The products are also available as a perpetual license or as a time-limited term license. A Software Development Kit (SDK) is available to allow developers to customize the entire processing workflow to suit their customers or application. Step 1: Capture raw GNSS and IMU data. Step 2: Waypoint post-processing software maximizes the accuracy of the solution by independently processing data forward and reverse in time and combining the results. Step 3: The position, velocity and attitude solution is smoothed to deliver an unparalleled level of accuracy. In-depth quality analysis tools verify the quality of the trajectory. Step 4: Export your results at the required data rate and in the coordinate frame required. Everywhere we turn today, the term “smart” is attached to an item or to a process. Smartphones, smart cars, smart electricity grids, smart home appliances; you name it, someone is making it a “smart” item or process. Advancement in technology has increased computing power, expanded data storage capability, and has allowed for miniaturization of circuits and processors. This forward progress has led to the creation of these smart item/processes, and together creates the real possibility of making many of life’s tasks and normal operations more automated. This potential automation also brings new systems monitoring conditions of various entities and operations within our daily lives, such as increased efficiency of HVAC systems, utility metering that adjusts to our patterns of consumption and landscape watering that only provides water when needed. In addition to the personal systems now being controlled with these machines, there is now revitalized interest in the creation of “smart cities.” The concept of this type of a civilized urban metropolis once existed only in science fiction, but technology has brought this concept to life in ways not imagined by the best of those writers. Surveyors have a big role in the development, installation and maintenance of these cities, so let us spend some time digging into the element that go into our future environments. For those old enough to remember, the concept of a smart city only existed on “The Jetsons” cartoon from the early 1960’s, with cities in the sky, flying cars and some technological advancements that do exist today. While Orbit City may not come to fruition in the next several generations, many of the concepts of a smart city are taking shape today. A smart city is a municipality that uses information and communication technologies to increase operational efficiency, share information with the public and improve both the quality of government services and citizen welfare. Establishing a smart city requires forward thinking leadership and substantial funding to be created and maintained; however, the real function lies within the computing infrastructure and collection/manipulation of large quantities of data to create an environment of efficiency and conservation. A true comprehensive system combines available historical data, a collection of sensors and data collectors transmitting real-time information, and a powerful computing system containing analytical programming with extensive database functionality. Is smart cities technology and adoption really that important? Population trends worldwide continue to show that urban and suburban areas are expanding while rural areas are seeing a large reduction in residence. Several factors are at play, with technology being the central reason for the migration from the farm/small towns to the bigger cities. Statistics show that in 1960, two billion people worldwide lived in rural areas while one billion lived in urban sections. As the population has increased drastically, the percentages for each category have reversed; in 2007, the two categories were equal and by 2017, the urban sector has jumped to 4.13 billion versus the rural population of 3.4 billion. Population experts estimate by 2050, upwards of 70 percent of the world’s population will be living in urban areas. Whether this population shift goes directly to the city centers or the less dense outskirts, municipal facilities and services will need to be upgraded and expanded with the continuing trend. Add to this surge the challenge to create a more sustainable environmental infrastructure and ecosystem, and it becomes a maintenance challenge and logistical nightmare. By using technology to create smarter infrastructure monitoring and management systems, the creation of smart cities with advancing technology will be key to successful and sustainable growth for municipalities and its citizens. One of the biggest challenges faced by most municipalities is aging infrastructure. Utility systems, including water supplies and stormwater drainage, was installed several generations ago without a plan for replacement and/or expansion. Redevelopment in older urban areas are now taxing these aging systems well beyond their initial capacity, all while these facilities begin to fail simply because of continued use well beyond their original designed life span. Municipalities are forced to spend money on repairing and modernizing the existing infrastructure before entertaining the idea of upgrading new installations to “smart city” specifications. However, many municipalities are mandating that new developments and infrastructure improvements meet these specifications so any future upgrades can include computerized systems. All these systems, new and future, will require extensive planning and mapping to be effective and efficient to justify their expense. Surveyors, utilizing a variety of tools based around high-accuracy mapping and data collection, can provide the necessary base information for these systems. Where does surveying fit in? Just as computers and electronic technology has allowed many industries to evolve, the surveying profession has also advanced with new methods and equipment. Our ability to perform advanced measurements and establish positional location information is critical in providing the base data necessary for smart city services. Previous surveying, mapping and record keeping systems were sufficient for the needs of the time period. However, these historical data points were nearly impossible to place into a single database simply because of one factor: georeferencing. The surveyor has the unique responsibility of being recognized as expert measurer and locator of physical points on the ground in relation to property and boundary rights. It is because of this distinctive role within the community that the surveyor can provide a significant role in the development of the groundwork of a smart city. The introduction and implementation of newer technology and tools has allowed the surveyor to become a valuable member of the infrastructure mapping team. It always hasn’t been this way and the surveying profession shoulders most of that blame. Many surveyors will make the argument that our profession has been ahead of the game for years with our data collection processes having been transformed from notes in a field book to electronic devices. Digital data, however, isn’t necessarily smart data as many factors go into establishing the difference. The physical form of the survey information has no direct correlation to the basis of the data; in this case, the records need to be based upon a spatial reference frame rather than an assumed data system. Also on the topic of spatial reference systems, we can also address the lack of respect given to geographical information systems (GIS) from surveyors during its initial introduction and implementation. GIS was discounted as a convoluted graphical database not sophisticated enough for the high-accuracy world of surveying. Little did the surveying profession know that GIS would become the spatial basis for many mapping systems and be utilized in millions of locations worldwide. Only now does the surveying community realize that we missed the bandwagon and can help to provide the crucial link between spatial data and actual points on the ground in relation to physical improvements and property ownership. Another digital platform not initially embraced by the surveying community is building information modeling or BIM. This software is a three-dimensional modeling program used mostly by architects and mechanical engineers for depicting and designing buildings and plumbing systems. One of the advantages of BIM versus traditional CAD is a database information link containing data regarding the entities within the BIM. Among the attributes contained with BIM are documentation, spatial reference, time, cost, operational applications, and related applications (contracts, purchasing, suppliers, procurement solutions, etc.). The existing spatial data necessary for this system can be supplied by surveyors using a variety of methods but not many have implemented the software. Surveying instruments and measuring techniques has turned a significant corner in the past two decades. While conventional measurement methods are still used (including steel tapes, laser-based total stations, and GNSS receivers), more types of sensors are being introduced to enhance the accuracy and expand the volume of data points being collected. Scanners, using phase-based and time-of-flight methodologies, are now more popular than ever as ease of use has increased while the cost of ownership has greatly decreased. Ground-based and mobile LiDAR used to be only available to large firms and the government, but new models are being introduced at price points affordable to many surveyors. Many articles have been written regarding the lightspeed adaptation of surveying, engineering and construction firms with UAV use of photogrammetry methods to quickly map areas that were previously inaccessible and meeting standards not thought possible. We are also seeing more implementation of new scanning methods, including SLAM (simultaneous localization and mapping) using handheld and backpack devices. The common thread for all these technologies and methods is one thing: georeferencing. What was once nearly impossible is now a reality; data collection from various methods all being located within a common horizontal coordinate and vertical datum systems. The ability to obtain literally millions of data points with high-accuracy horizontal and vertical values is phenomenal with most of the credit going to the United States Department of Defense and their implementation of the GPS. Yes, the technology of scanners and data collection would have been invented without the overall coordinate tie-in but having the ability to reference that same data to a common system is the key. Also key to the smart city data collection methodology is the surveyor as the expert measurer. A trained and experience surveyor can lead the data collection of significant projects, including location of existing improvements and establishment of future installations. From establishment of parcel/right-of-way lines to integration of point clouds from scanners and photogrammetry, the surveyor can assemble this data together to provide the groundwork for successful analyzation and planning. By combining data from various areas of a municipality, including utility atlases, existing improvements, and future expansion plans, a database can be created in which a smart city will rely upon for oversight and monitoring. The surveyor fills a vital role to determining the accuracy and effectiveness of data like no other profession and should not be overlooked when assembling a team for the creation of a smart city. Like all technological discoveries and enhancements before, the future is bright with many possibilities to increase the effectiveness and efficiency of a smart city. More types of sensors are being introduced on a regular basis and in every way imaginable, including wireless communication, RFID tags, and microelectromechanical systems (MEMS) devices. One of the latest buzzwords is the “Internet of Things” (IoT), with many new devices being created to interconnect a network of web-enabled computerized devices using microprocessors, a variety of sensors and wireless communication hardware to gather, transmit and perform actions on information acquired from their environments. IoT presents advantages to users by enabling them to monitor their overall business processes and improve the customer experience. These actions can also precipitate changes to allow the company to save time and money, enhance employee productivity, integrate and adapt business models, make better business decisions, and generate more revenue. As discussed in previous articles (GPS World March 2018 and GPS World November 2018), the next big technology to look forward to is the telecommunications upgrade to 5G. Once a full 5G network is running with extended coverage, we can look forward to new opportunities for indoor location services with similar accuracy to our existing GNSS capability. The technology sector will continue to push the limits of computing speed, physical size and data capacity looking for the “next big thing.” The surveying profession has enjoyed many of the fruits of that success so one has to imagine that many more advances will be coming soon. Smart cities will continue to evolve as citizens of Earth keep migrating to the urban areas and forcing the existing infrastructure to expand or face failure. Surveyors will continue to help provide a variety of services to those citizens and municipalities, with an eye on the future for more advancing technology. I can’t wait to see what is next. Responsibility for in-depth troubleshooting and problem resolution of the GSC Ground Infrastructure has been transferred from a European GNSS Agency (GSA)-held European GNSS Service Centre (GSC) infrastructure contract to Spaceopal and its core team member DLR GfR, responsible in the Galileo Service Operator (GSOp) industrial organization also for L2/L3 maintenance activity. This contract extends for 10 years. The transfer occurred after Spaceopal successfully passed the Maintenance Handover Review (MHOR) for the Level 2 and 3 Maintenance of the GSC in Torrejón de Ardoz, outside Madrid, Spain. 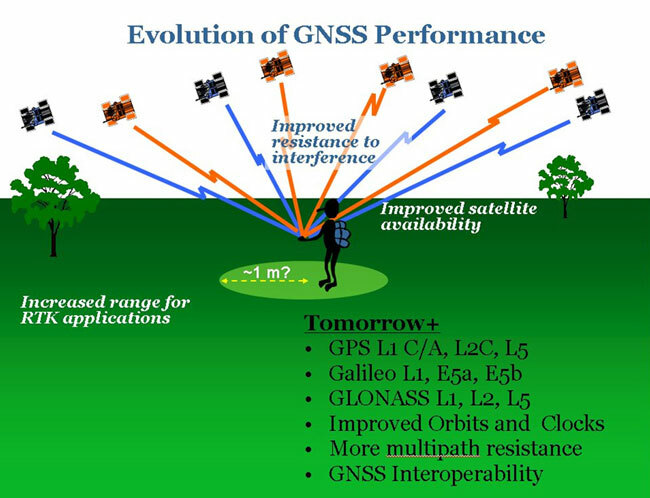 “Taking over this responsibility will allow us to react much quicker to anomalies in a more flexible way, directly improving operations and the service that the European GNSS Agency (GSA) provides to the Galileo end users,” said Christian Hessmann, Engineering Manager at Spaceopal. 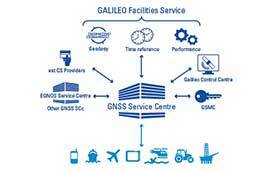 The GSC services can be accessed by Galileo users via the GSC web portal. Spaceopal is a joint venture between DLR Gesellschaft für Raumfahrtanwendungen (GfR) mbH, a full subsidiary of the German Aerospace Center (Deutsches Zentrum für Luft- und Raumfahrt; DLR), and the Italian firm Telespazio S.p.A. Both parties contribute their respective Galileo Control Centers in Oberpfaffenhofen and Fucino. Since July 2017, Spaceopal GmbH has operated the Galileo satellite fleet under the GSOp contract and will thus ensure the provision of the Galileo services to the worldwide community. The GSC provides the single interface between the Galileo system and the users of the Galileo Open Service (OS), and the Galileo Commercial Service (CS) for the provision of specific services beyond the Galileo Signal-In-Space (SIS) transmitted by the operational satellites. 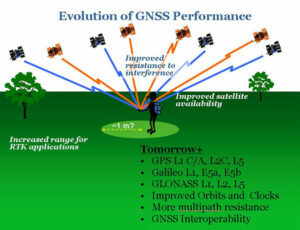 The GSC acts as an active means to engage in “in”- and “out” bound activities and is conceived as a centre of expertise, knowledge sharing, custom performance assessment, information dissemination and support to the provision of value-added services enabled by the Galileo OS and CS core services. he GSC is located in a fully secured environment in Madrid, Spain, within the National Institute of Aerospace Technologies (INTA) facilities at Torrejón de Ardoz, overseen by the Spanish Ministry of Defence.